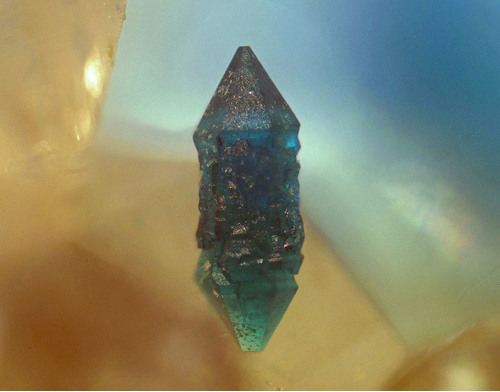 A single blue spangolite crystal attached to a barite matrix. 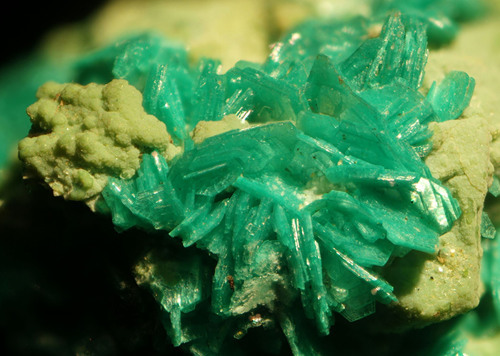 Richard Green collection and photo. 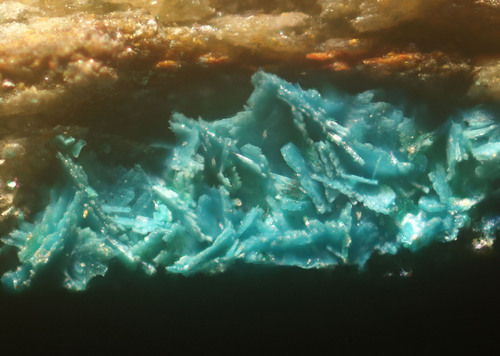 A single clear quartz crystal growing on green tabular pseudomalachite . Richard Green photo and collection. 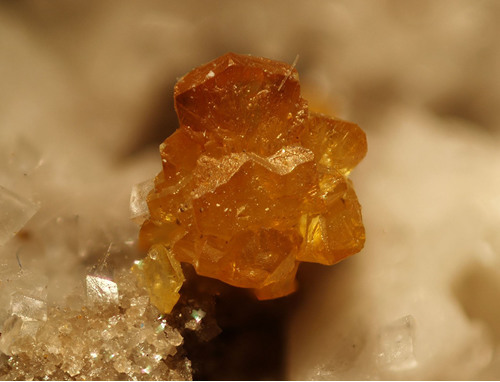 An intergrown orange sphalerite crystal. Richard Green photo and collection. 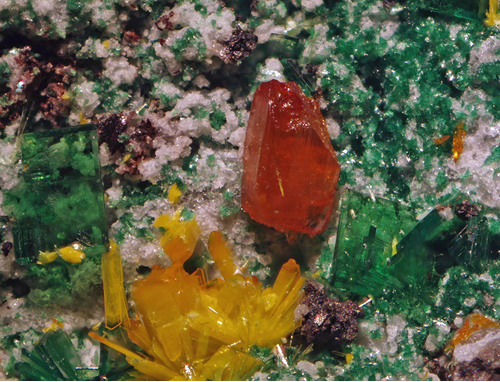 Single reddish-orange wulfenite crystal. Richard Green collection and photo. 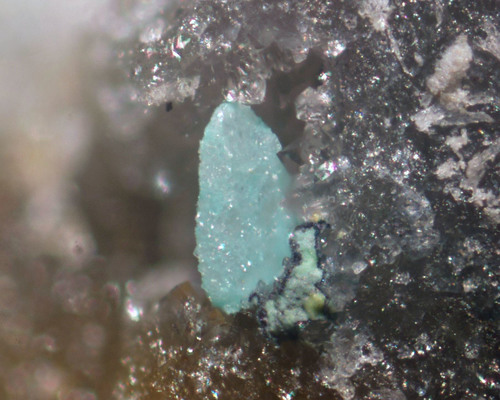 Light green odd-shaped crystals. Richard Green collection and photo. 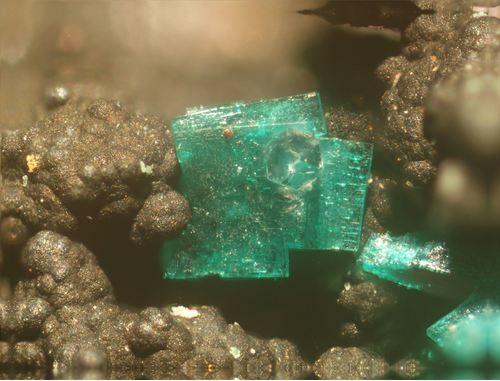 Small blue tabular crystals. Richard Green collection and photo. 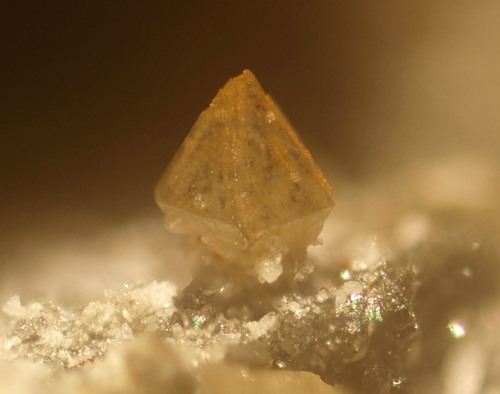 Single Light tan crystal. Richard Green collection and photo. 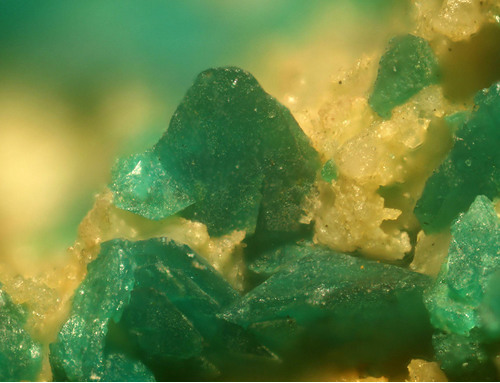 Dark green crystals. Richard Green collection and photo. 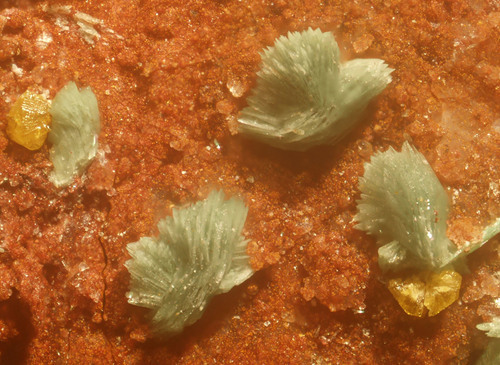 Light Green tabular group of crystals. Richard Green collection and photo.